A lot of Parsis had good relationships with Britishers and adopted the British lifestyle and art pretty easily. They integrated the European living so well that it also filtered in their perception of art. As a gesture of emulating, the Parsis also employed a lot of British artists to paint their pictures as a symbol of status and royalty. Frank Albert Philips was probably a British artist and is attributed to the painting of this portrait. However, no details on his biographical or artistic life are currently available. 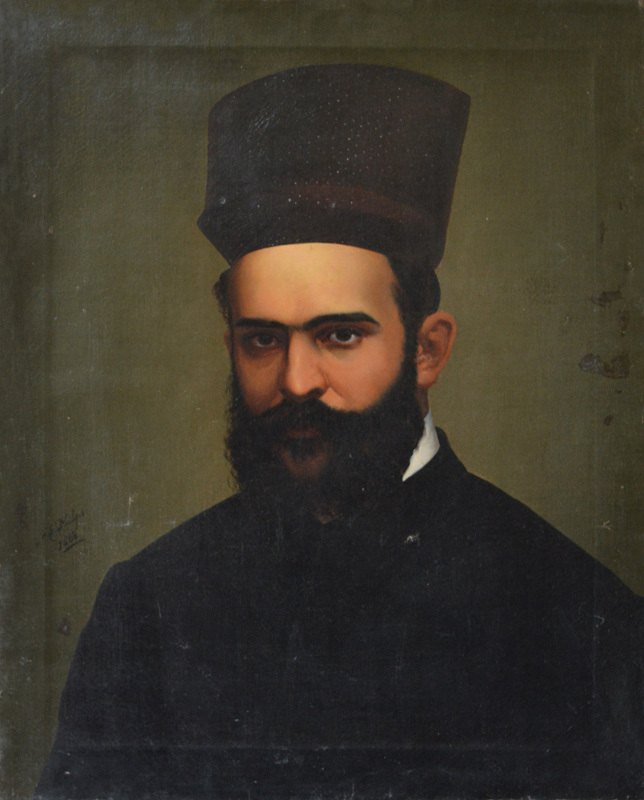 Seth Jamsetjee Nusserwanjee Petit was the son of a well-known Parsi trader and philanthropist who had extremely close connections with the Britishers. He was a visionary and also a supporter and benefactor for many schools, colleges and scholarships. Being of a creative and contemplative mind gave him a literary advantage and he composed poems in gujarati. He also translated English, Persian and Avestan literature and has his name associated to the prestigious J. N. Petit Institute in Mumbai. A portrait of his done by Raja Ravi Varma is house at the Institute.